Does your organization require a custom security solution? The ID Maker® Secure 2-Sided Card Printer is the one for you. It’s ideal for specialty prints, has a fast printing speed, and is packed with anti-forgery security features, such as 10 standard holographic overlays. It prints on dual-sided PVC and adhesive cards, and it’s compatible with upgrades like magnetic stripe encoding. 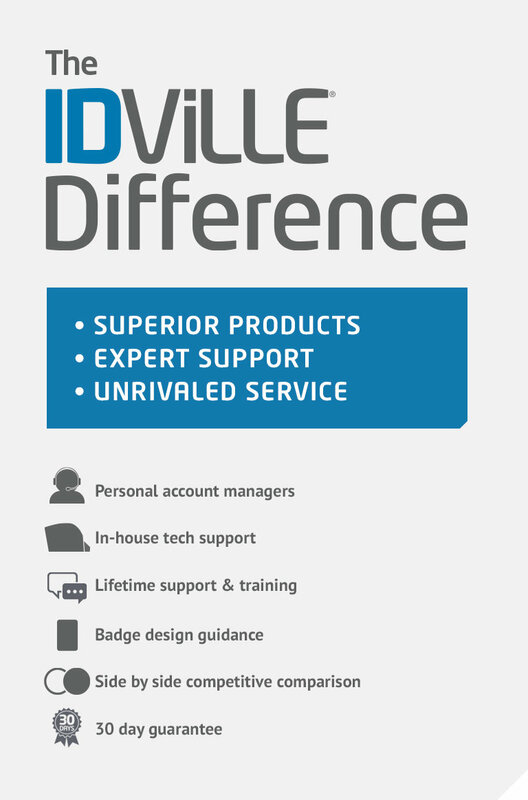 Questions about photo ID badge printers and systems? Talk to a System Specialists now by live chat or calling 1.866.438.4553. Prints up to 200 full color cards an hour.